it’s masters week. this has to be the best week of the year. my dad and i hit the monday practice round. i left with more loot than i probably should have including this vintage looking hat. don’t quote me on this, but i believe they introduced it in 2013. like the tour visors, it sells out quickly. i did a little research (i.e. 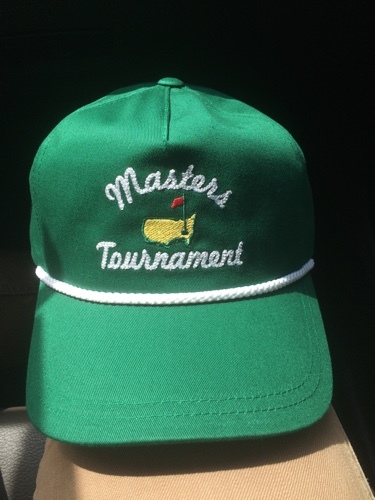 15 second google search) to see if i could find a masters hat from the 70’s that looked like this one, but it appears to be a new design made to look vintage. normally, i would scoff at something like this, but not this hat – i’m into it. you didn’t ask, but i’m going to give you my picks this year. i think bubba wins again. he was drilling the ball on monday. tough to bet against him. if you’re looking for some wildcards, check out hideki matsuyama, branden grace, gary woodland, and russell henley.